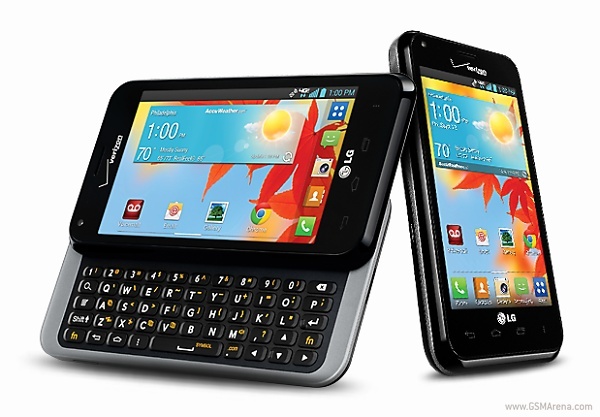 The press image of the Verizon bound LG Enact was leaked a couple of days ago and now, the Android powered slide-out QWERTY smartphone has been officially announced. The entry-level LG Enact comes with a 4-inch display of WVGA resolution. The slide-out smartphone features a 1.2 GHz dual-core Qualcomm processor, 5 megapixel rear camera with LED flash, front-facing VGA camera and 8 GB of internal memory that can be expanded via microSD card slot. LG Enact also supports LTE connectivity and runs on Android 4.1.2 Jelly Bean. The 2,460mAh battery should keep the smartphone going for quite a while. The device comes pre-loaded with a few software goodies from LG such as VuTalk, Quick Translator, QSlide 2.0, QuickMemo and Smart Screen. The Verizon's LG Enact will cost you $19.99 on a two-year contract, while the unlocked version is priced at $349.99. Unfortunately, it's unlikely that the smartphone will ever hit other regions. Agh. Why won't someone release a decent qwerty slider world wide? You'd make a killing. No competition. And anyone I know with a slider buys outright at full price. If your language is not supported in Swype I don't think you would make this comment :) Like for me... I'm using my native language where our country has likely 4 different types of local dialect in which is not similar than our national language.